You can save hundreds of pounds by purchasing a used model, without sacrificing features or specifications. We stock used digital SLRs, Compact System Cameras and compact cameras from Canon, Nikon, Panasonic and Sony, as well as lenses. Do you have an old digital camera or lens lying around? Or did you buy a camera from us and want to upgrade? 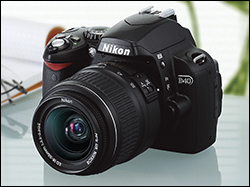 Trade in your unwanted kit for a new or used digital SLR, Compact System Camera or compact camera. Every used model we receive is assessed and any missing accessories replenished. 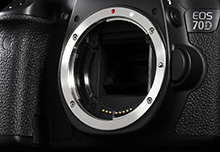 Both lenses and cameras are professionally cleaned, with digital SLRs and Compact System Cameras receiving a sensor clean to insure the model you purchase is in pristine condition. You can buy used professional-specification DSLRs, lenses, Compact System Cameras and compact cameras for less than a new equivalent, especially if you trade in your current gear. Do you have a camera gathering dust or a lens you don't use any more? Sell us your equipment and receive a generous trade-in value which you can spend on a camera, lens or accessory at Camera Jungle. Our trade-in system is quick, easy and completely online, why not try it now? 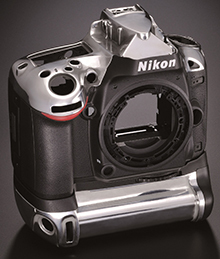 Magnesium alloy frames and weather sealing are common in professional digital SLRs, and weather sealing is present on a large number of lenses making them extremely robust. We stock a wide range of professional-level cameras and lenses, which will cost far less than a new consumer-level model. Each used camera and lens comes with a 14-day quibble-free guarantee which means you can return the item, as long as it's in the same condition as when received, and we'll refund you. There's no hassle and no need to visit a store, simply phone or e-mail to let us know. See our returns page for more details. A full quota of accessories, from the charger to the USB cable, is included with each used camera regardless of the age or condition. We also stock a wide range of accessories such as memory cards from Sandisk and bags by Crumpler and Tamrac. We photograph each camera and lens so you can see the actual item you'll be buying. Our high resolution photos can be magnified to show high amounts of detail, meaning every angle can be inspected prior to purchase. Order your item before midday and we'll deliver it the next working day. The package is fully insured until you sign for it and we'll send a tracking number so you know exactly when your camera, lens or accessory will be delivered. We know that finding the right camera or lens can be difficult, so if you've got an inquiry about a camera, what lens to buy or if you can't decide between two similar models, get in touch by e-mail at hello@camerajungle.co.uk, phone us on 0330 808 3324 or check out our Buyer's Guides..